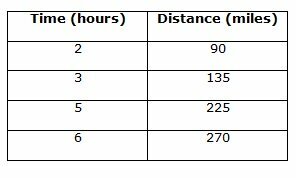 Find the constant of proportionality and the unit rate for the data in the table. 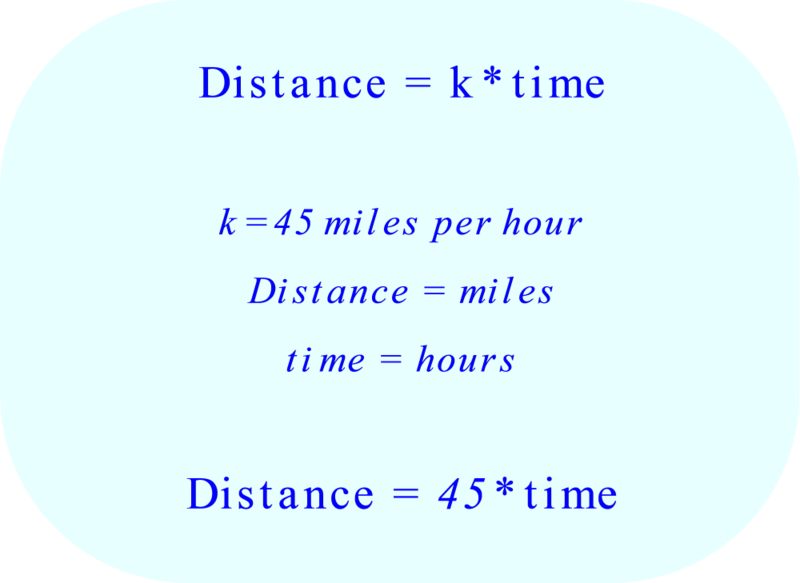 Then write an equation to represent the relationship between time t and distance d shown in the time and distance table. A direct proportion between time and distance means that distance is a constant multiple of time. k is a constant. It is called the “constant of proportionality" , or “constant of variation”. Both terms mean the same thing. The terms are interchangeable. 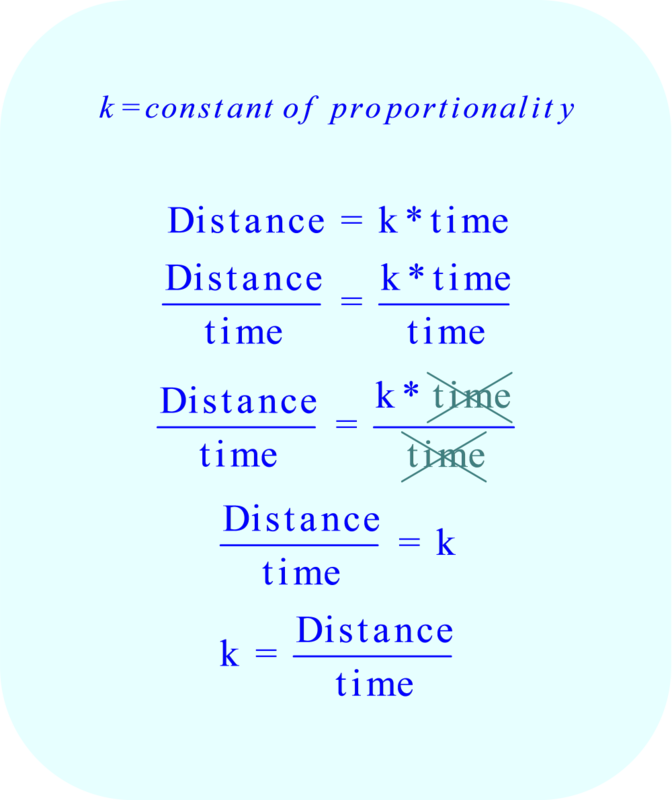 The constant of proportionality means that DIVIDING the DISTANCE by the TIME is a CONSTANT value (k, the constant of variation). WhatTheFreak I SAID CONSTANT OF PROPORTIONALITY? Savannah was paid $87 for 12 hours of babysitting and $65.25 for 9 hours. What is the constant of proportionality that describes this relationship? 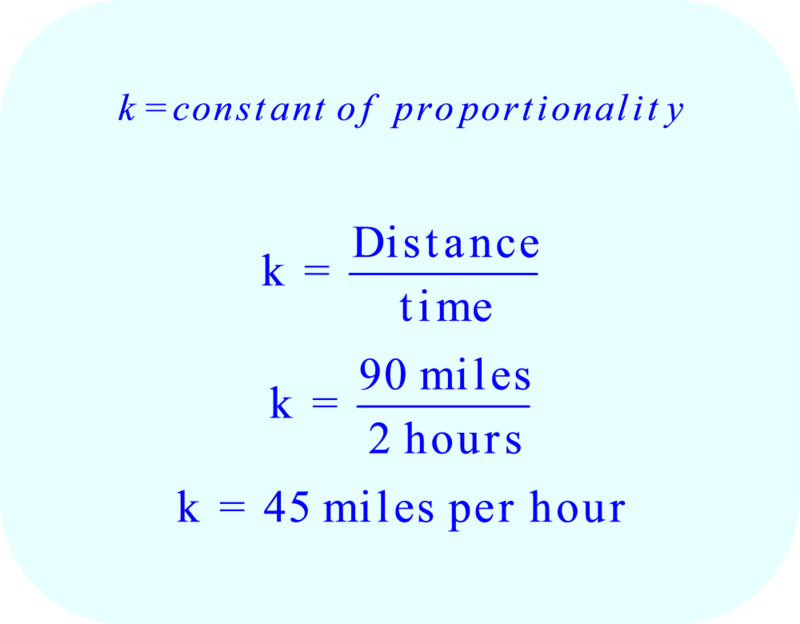 thank you, that's what I said (Constants of proportionality. ok, um, still don't get it... help! The formula you just put up was for the unit rate of the table, not the constant of proportionality.